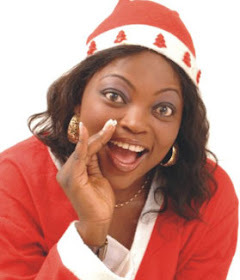 Viewers of `Jennifer’s Diary’, a popular television series by Nollywood actress, Funke Akindele in the Federal Capital Territory (FCT) have expressed mixed reactions over the programme. Some of them, who spoke on Tuesday, said the programme was entertaining and brought creativity into the industry, while others condemned her use of language. Mrs Chidimma Okolo, an Abuja-based fashion designer, said the programme was creative and Akindele had brought her brand to bear in the television series. “Jennifer’s Diary is creative and she brought her own kind of acting into the show which is different from the routine Nollywood acting we know. “It is entertaining and it is a comedy which is as good as paying N5, 000 for comedy shows. “It is a reality show that is shot in modern settings. “It can also be recommended for children, because it doesn’t have any adult scene,” she said. According to her, characters in the series are not really popular artists and each of them brought their kind of flare into the television show. Okolo, however, lamented that the time allocated for the show was not adequate for viewers, adding that adverts were taking more of the time. She noted that in spite of Akindele’s use of “corrupt English’’, the programme was still entertaining. She added that the entertainment industry needed to produce movies and series as `Jennifer’s Diary’. Another viewer of the programme, Miss Ifeyinwa Ohanwe, a public servant described the programme as hilarious. “I enjoy watching the programme, because it is hilarious, entertaining and keeps you wanting to see more. “When you are unhappy and you watch the programme, it has a way of making you feel relieved. “In the diary, she virtually has a response to everything in a hilarious manner.” Ohanwe, however, noted that she would not recommend the programme for children, adding that if they watched it overtime, it may corrupt their use of English. Mr Kelvin Michael, an up-coming comedian, said the programme was funny and Akindele had introduced a trend of English used by some young ones. “Funke with her programme has introduced this kind of English used among young people which is normally said in a funny way. “The way and manner the language is used will even attract your attention and can make you laugh. “For me, I watch it to improve my skills in comedy; although her series is not the only comedy I watch,” Michael said. Mrs Grace Obi, a Human Resource Officer, said the programme was not creative and does not have any value to add to someone who was focused. Obi said; “the series is more of a local television programme that cannot impact the life of any serious minded individual.” Miss Janet Osodipe, an up-coming makeup artist said she watched the programme to divert her attention from life challenges. Osodipe noted that she would recommend the programme for young people that want to build a career in comedy. NAN reports that the television series debuted on some stations across the country on April 2015, and currently had six seasons with several episodes. The series had featured Tiwa Savage, Folarin Falana, popularly known as Falz, Ali Nuhu, and Alexx Ekubo among other artists.